Party planning has made a comeback and has been making waves among those looking to find a means to make money. The great thing about party-planning is that you don’t generally feel you are working. If you are a very sociable person and enjoy the company of other people while selling products, then you will find party planning quite appealing. 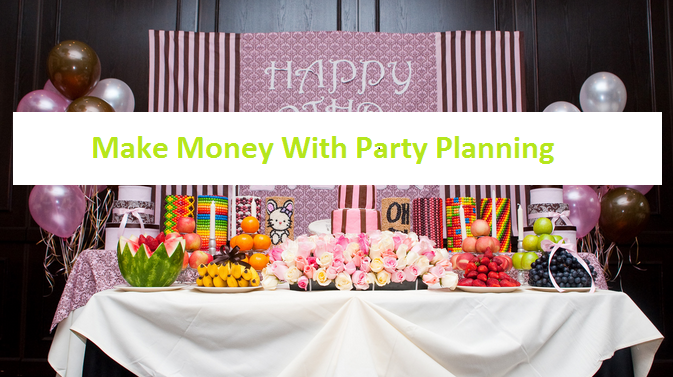 It is great to make money with party planning because you can work from the comfort of your own home, and you don’t have to answer to anyone as you are your own boss. The flexibility of working the hours you choose is a big appeal, as it gives you the time and opportunity to sustain the kind of lifestyle you want. To get started in a party planning business, carefully select the companies whose businesses you want to engage in. Check out the company profile and their stability to sustain their business. Choose the company that is credible, established, and has a good following as well. Equally important is their product and the reason why it is important for you and other people to own that product. Yes, you have to try the product yourself. Your first client and follower in this business is you and even your family as well. It is important that you are convinced with the product because this will add to your confidence about it as well as the company that makes it. Choose which products will give you the chance to excel in your party planning efforts, and check out the company’s commission system and the opportunities they give you to level up along the way. It helps if you choose a company whose products you find interesting, or related to your own talents, passion or hobby. For instance, if you love cosmetics and have a knack at doing makeup, you can plan a party that could exhibit the latest cosmetic products. You can heighten the interest by showing your guests how to use them and can even have a brief makeup session. If jewelry is your passion, you can display a collection of jewelry for your guests. The choices are endless; lingerie, food containers, fashion accessories, cleaning products, electronic gadgets, and many more. Know how much it will cost you to start selling the product and the expenses that come with the party that you will be hosting. If you want to keep expenses to the minimum – which is wiser – you can start a party with your family, friends and acquaintances, inviting them to a pot luck party where everyone brings a dish or a plate of finger food. Offer to take care of the drinks so they will be encouraged to come with something for everyone to munch on. More than hosting a business orientation, it will also become a mini family gathering that is sure to bring in endless talks and a hearty atmosphere. You have to be careful in doing this though, and limit this option to invitees who are close to you or whom you know will not mind bringing something to your party. It is not advisable to do this with people you will be meeting the first time. You have to make sure that your party is complete with some refreshments; snacks and light beverages are just right. There’s no need to prepare a lavish buffet that can grab the attention of your guests away from the products you are selling. Make the food simple, safe, and delicious, and it will help break the ice before you do your product presentation. When you have the food and drinks, the guests, and the products ready for you to promote, the floor is now ready for you to do your selling. If you are able to convince your guests to try the products, then you can make a sale. The more people you convince the bigger the sale you will make. If you are a user of the products you are selling you will be able to talk comfortably about the merits of each item. You then come across to your guests as someone speaking from experience, not hard selling them something. Your guests may even look at you as someone with authority to talk about the products, and that can land you more sales. Besides being sociable, be friendly as well in trying to accommodate all your guests in the party. Never put up an intimidating atmosphere as they will feel uneasy. Welcome their queries and address their questions in the nicest way. This will make them more knowledgeable about your product, which will increase the possibility of them trying the products themselves. Make your guests feel it is a social event where they can relax and talk about the products you are endorsing. If they end up having a pleasant experience, they are more inclined to make a purchase. If the guests do not buy your product, they can still help you by word of mouth if they enjoyed your party, because they will most certainly talk about the event and chances are high that they will also mention your products. The next time you host another party, you might just see the same faces or even new ones. Do remember that while your ultimate goal is to make money with party planning, this party may not necessarily focus on just selling the products. It is also a good opportunity for you to build your network by establishing good rapport with your guests, especially the new ones. 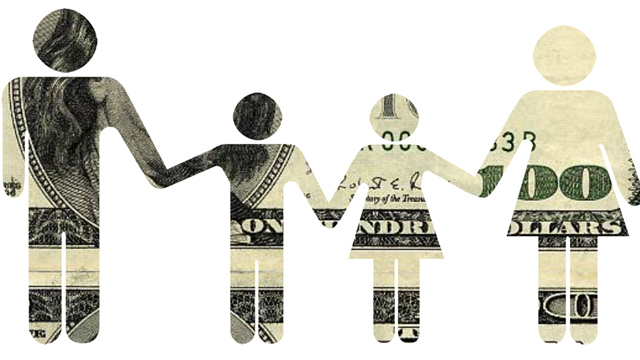 They are your potential customers and may just be your source of income in the future. Apart from the logistics side of your party planning business, there are other requirements that can make or break your party. Aside from banking on your ability to socialize and market, you have to develop confidence and enthusiasm on what you are doing. You need to come across as very convinced of your own products, giving your guests the impression that indeed your products are worth buying. You also have to be creative, innovative, and flexible. You can hand out some tokens or small gifts, which need not be expensive, to your guests as your way of appreciating their presence, time and effort to join your party.